Whether it was a school play or a concert, dance lessons, drama camp, or just listening to music on the radio, there was probably a moment in your life when the performing arts first revealed their magic to you. We may not have realized it at the time, but those first impressions leave a lasting impact and shape how we interact with the world. 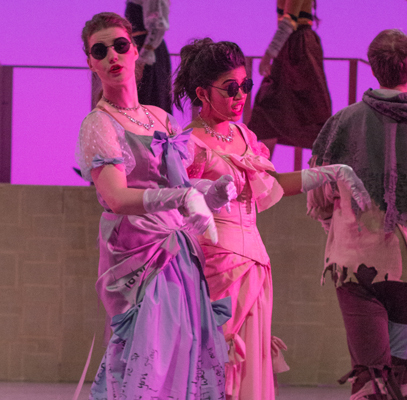 In this edition of NOTES, three young arts professionals, all of whom interned with the Canadian Opera Company early in their careers, explore how their first encounters with the arts opened up the world and connected to a larger sense of belonging. Ruby is an aspiring actor and model. Her lifelong attraction to the arts has led her to roles in high school musicals like Beauty and the Beast and, most recently, a horror anthology series. A graduate of George Brown College’s event management program, she has also worked in arts education and hairstyling but whatever she is doing, the common element is the presence of creativity. The arts have always been a big part of my life; I don’t think I could pinpoint just one moment when it occurred to me that I would never be able to live a life without creativity. Growing up, I was always making up stories and putting on plays for myself. Even later in life, when I was studying hair styling and special event management, I found ways to slip my artistic history into my work. In hair school we had a final updo competition and I came in third with my elaborate interpretation of the Caribbean mermaid; with face paint, braids and a sea crown I created myself. And of course when assigned to create a wedding plan for an imaginary couple, I dreamed up a complete backstory of how they met, the pet names they shared, and I just had to make the flower crowns the brides would wear. I think some people are just born with the art bug and it never really goes away. In Grade 3, my music teacher gave the class a final project of studying an opera and presenting it to the class. She assigned my group The Magic Flute. 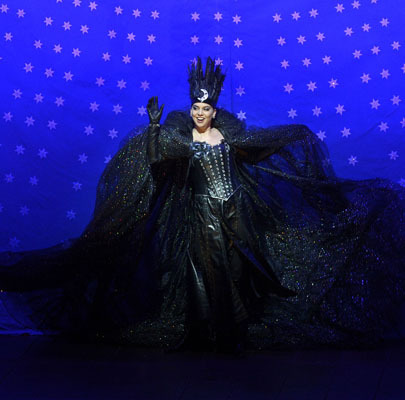 Right away I fell down the rabbit hole of art and performance, I fell in love with the Queen of the Night’s aria and embarrassingly performed my rendition of the tune to my class. My mom also had the pleasure of hearing me attempt to hit those high notes for the rest of that school year. Luckily for her, she worked with the husband of a member of the Canadian Opera Company’s education department, who suggested that I try the COC’s summer opera camp. At opera camp we spent the day learning all the main aspects of opera – music, design, and acting – and put it all together in an opera of our very own. Sometimes we would put a twist on a classic, other times we would create an original work. At the end of the week, we performed our opera for our family and friends. 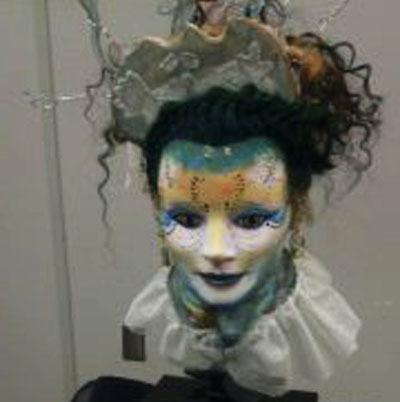 My most memorable moment was visiting the wig department at the COC and seeing all the old costumes and set pieces from past shows. I participated in the camps every summer, and came back as a teenager in 2012 for the older-kids version, the Summer Youth Intensive. I’ve been hooked on performance and entertainment ever since. During that time I also began working with Arts Unleashed, an arts production and creation company for young children located in Pickering. 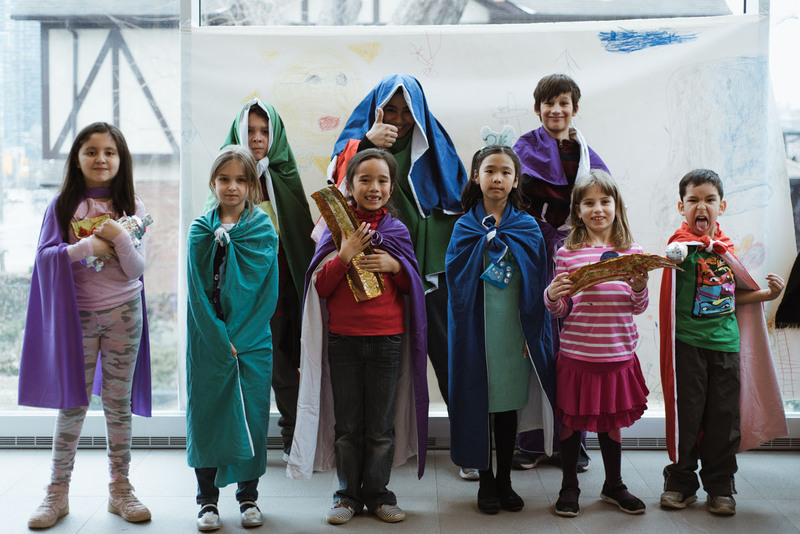 We help the kids build characters for interesting stories they helped to create. Every season I see shy children evolve into more confident performers as they start to find value in the arts and develop their own sense of agency. 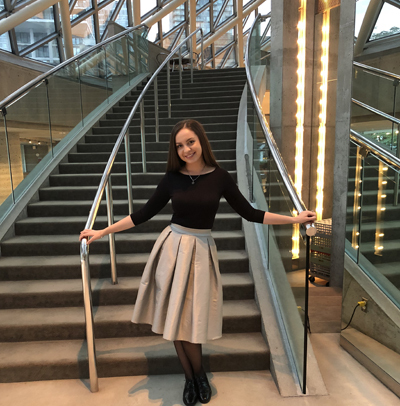 This past year, my arts journey went full circle when I returned to the COC as its education intern. My main task was to help organize events for the After School Opera Program’s 20th anniversary. Along with planning, I had the opportunity to work with current ASOP participants. I found from working at the COC that I love working on events especially centred around the arts and working with young people. One thing I took away with me through all those years of opera camp was my confidence and my ability to connect with any walk of life. Growing up, going to school and making friends was a dark place for me but every summer I found a light in the friends I made at opera camp. Without fear of judgment, they gave me space to express and be my most authentic self. The feeling wouldn’t always last into the school year but looking forward to my summers would keep me pushing through. I found trust and acceptance through the arts community. 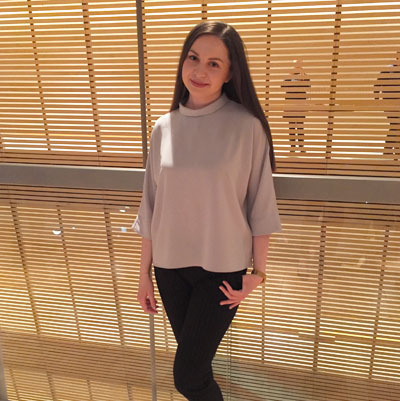 Anna was heavily immersed in classical performance from a young age, both in her native Ukraine and upon moving to Canada as a child. Her experiences with a range of classical art forms heavily impacted her career direction as an arts administrator and piano teacher. I was introduced to music at the age of five when my parents enrolled me in piano lessons. My first piano teacher was my great aunt who shaped my understanding of music through very rigorous and disciplined training, and who had a great impact on me from a young age. At 12, I performed the first movement of Mozart’s Piano Concerto No. 1 with a symphony orchestra. When I moved to Canada from Ukraine with my family in 2005, I was very fortunate to meet my current piano teacher, Ludmila Ivchenko. Going to piano lessons, I always felt very inspired and motivated by what awaited me. Not only did we have very interesting piano lessons, but we also occasionally attended music performances outside of class. 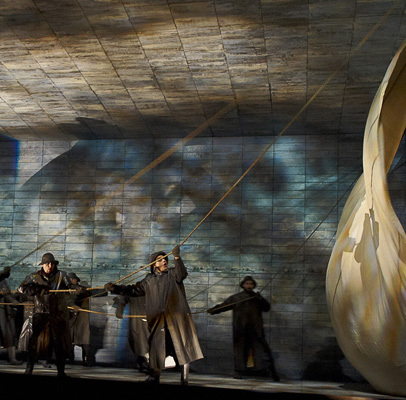 The first opera I ever went to was with my piano teacher – Wagner’sThe Flying Dutchman at the Canadian Opera Company. I remember when I was 14, my parents treated my sister and I to a season subscription at The National Ballet of Canada. It was the first time I attended a ballet performance and I was taken aback by the powerful Romeo and Juliet, the magical Nutcracker, and Giselle. Since then, I have been to numerous performances at the COC, including Falstaff, Rigoletto, Don Giovanni, Die Walküre, and more recently, The Nightingale and Other Short Fables and Eugene Onegin. Over the years I have attended many Toronto Symphony Orchestra concerts, and I especially enjoy piano concertos and symphonies. The concerts that really stand out to me are those that featured piano soloists Jan Lisiecki, who performed Beethoven’s Emperor Concerto, and Daniil Trifonov, who performed Rachmaninoff’s Rhapsody on the Theme of Paganini. I also really enjoyed Evgeny Kissin’s solo piano recital at Roy Thomson Hall a couple of years ago. His rendition of Chopin is very evocative! When it comes to orchestral performances, one of the highlights was a concert featuring a Russian pianist Denis Matsuev and conductor Valery Gergiev at Roy Thomson Hall performing Rachmaninoff’s Piano Concerto No. 3. Of all the performances I attended, it has impacted me the most. During intermission I had the opportunity to meet the famous pianist when he was signing CDs. Speaking, although very briefly, to Denis Matsuev left a great impression on me. It was the first time I had seen him perform live and it was a concert that is hard to forget. A combination of my university education in music, experience in piano pedagogy and interest in performing arts led me to pursue a career in arts management. When I was studying in university, I actively volunteered in various music organizations. Meeting professionals in this field encouraged me to pursue further studies and internships. In 2017/2018, I completed an internship in the COC’s Education and Outreach department and it served as a valuable introduction to this field of work. I got to meet and work with wonderful people and I am very grateful for this opportunity! Currently, I work as an Administration Officer at the National Youth Orchestra of Canada and I also teach piano. Experiencing live music performances is an indescribable feeling. It is very uplifting and inspiring, and it always charges me with positive energy. 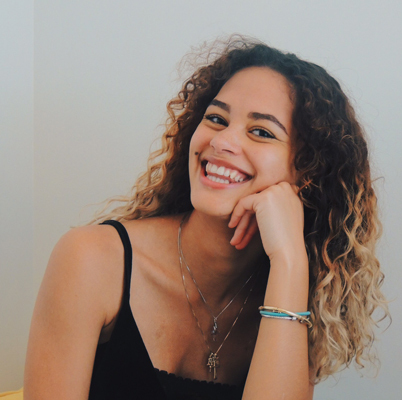 Ysabelle is in her fourth and final year of Creative Industries, with specializations in Theatre and Communications, at Ryerson University. 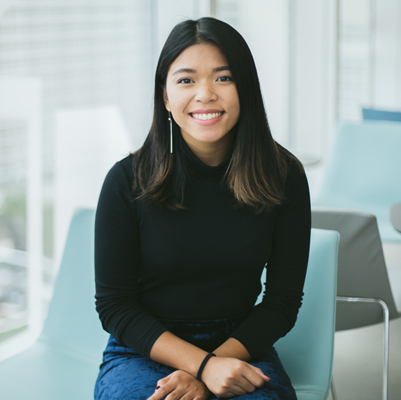 She is currently also a Teaching Assistant with VIVA Youth Singers of Toronto and rehearsing for the Ryerson Musical Theatre Company's production of Newsies. Growing up, I never really had the chance to experience the arts outside of the classroom, so that’s where I first developed an interest. It wasn’t until high school that I fully discovered my love for performance. I became involved in choir and drama heavily throughout those four years, and I don’t think I knew what it felt like to be truly passionate about something until then. I was in Grade 8 when I experienced musical theatre for the first time. An extra-curricular group put on a Grease medley for our annual talent show. I remember having so much fun and wanting to explore it more. But there were always barriers growing up because my family wasn't able to send me to all those musical theatre camps and programs. But that didn’t stop me from pursuing my dream of becoming a performer and by the time I reached high school, I became seriously involved with choir. I had no idea what I was getting myself into. The upper years seemed to love it so much and it didn't take me long to realize why. It wasn’t just the beautiful music - I also I found such a sense of community in choir. It was unlike any other group of people I had previously encountered. We were all working together to achieve something so special in an incredibly supportive environment. The choir was full of people who were genuinely passionate and dedicated to not only the art form, but to each other. I felt like I truly belonged in the arts world from then on. Ysabelle played Florinda last February in Ryerson Musical Theatre Company's production of Into the Woods. Through the performing arts, I discovered my confidence. I don't think I realized how to be confident until I was able to perform. My final years in high school were pivotal for me — I was able to discover who I truly was and what I valued through performing. On top of that, having an intense rehearsal schedule really built up my resilience. I would not be the hard-working person I am today if I wasn't thrown into the deep end back in Grade 9. The arts have taught me so many transferable life skills that I have been able to use in both my personal and professional life. Currently, I'm in my fifth year as a teaching assistant at VIVA Youth Singers of Toronto. At VIVA, I work with children aged 7-16 to provide musical and supervision support. I lead by example and aim to be a positive role model for the singers. As an intern at the COC this past summer, I also helped organize the company’s Summer Opera Camps. It was my first real experience working on the admin and business, rather than performance, side of the arts so it was a big learning curve. When I was first getting into the arts, I didn’t realize how important creating a healthy, positive and supportive atmosphere was. Until I started teaching, I never thought that my presence could have so much of an impact. It is incredible to think that I’m able to give back what was given to me when I first got into the arts. 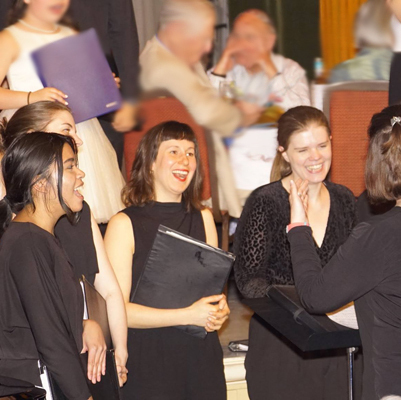 Singing with the VIVA Chamber Choir at its annual fundraising gala. Throughout school and into my career, I have found so much joy in the arts and learned so much about myself both as a person and a performer. It was through the arts that I discovered what I was passionate about. It has taught me so much about confidence, and fostered my abilities as a leader and somebody who can build strong relationships. Performing and the people I’ve had the pleasure of looking up to my whole life have had such a huge impact on the way I carry myself, and I can truly say I would not be the same person I am without the arts. Photo credits (top to bottom): After School Opera Program Participants, photo: COC; headshot and hairstyle photos courtesy of Ruby Sealy; Ambur Braid in The Magic Flute (COC, 2017), photo: Gary Beechey; Summer Youth Intensive participants, photo: COC; Four Seasons Centre and Roy Thomson Hall photos courtesy of Anna Maksyutynska; A scene from The Flying Dutchman (COC, 2010), photo: Michael Cooper; headshot and performance photos courtesy of Ysabelle Ferrer.